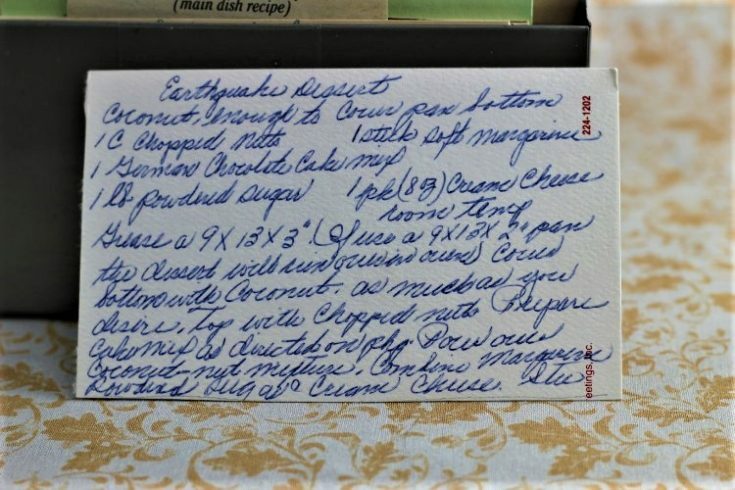 Front of the recipe card for Earthquake Dessert. 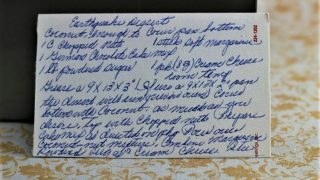 Back of the recipe card for Earthquake Dessert. 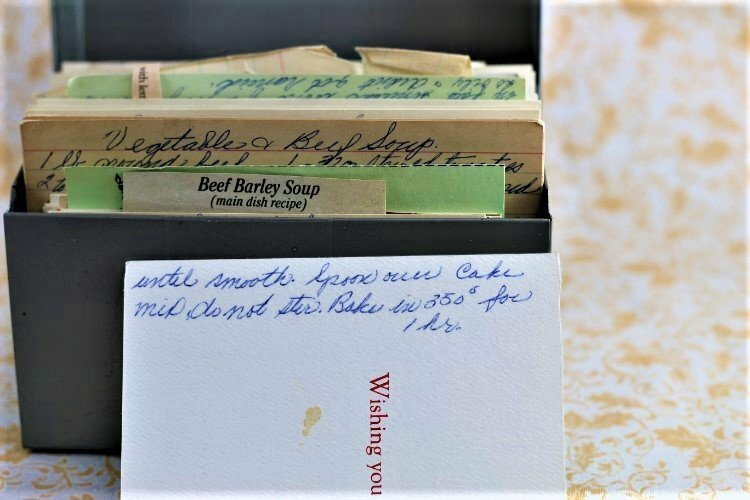 There are lots of fun recipes to read in the box this recipe for Earthquake Dessert was with. Use the links below to view other recipes similar to this Earthquake Dessert recipe. If you make this Earthquake Dessert recipe, please share your photos and comments below! Grease a 9x13x3" (Greasea 9x13x2" pan the dessert will ____ ____ over). Cover bottom with coconut as much as you desire. Prepare cake mix as directed on pkg. Combine margarine, powdered sugar & cream cheese. Bake in 350° for 1 hr.